A pre-match survey of the crowd suggested that they were in agreement with the world rankings, that top-seeded Egyptian Krim Abdel Gawad was the favorite today. However, it was also noted that Ryan Cuskelly has had some excellent wins lately, and has been steadily improving of late. Over the last couple of days, Cuskelly has shown us his impressive skills with wins over LJ Anjema and Marwan Elshorbagy. 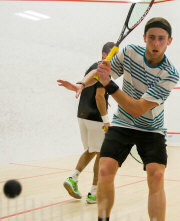 To start, Cuskelly was able to achieve a 5-2 lead. He impressed with straight shots from the front, putting Gawad under pressure, and the Egyptian demonstrated the style of play his country is known for, precise and aggressive drop shots. 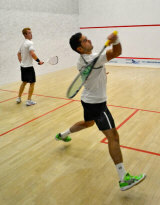 Gawad evened the score at 6-6, before Cuskelly once again gained the advantage, going up 8-6. Through the later part of the game, Gawad continued shooting for the nicks, with mixed results. The rallies got longer as the game went on. Cuskelly showed more patience, but Gawad continued to apply pressure. Extra points were needed to decide this one, after the score was tied 10-10. It took some time before either player was able to score the required two points in a row to win the game. It became apparent at this point that squash fans in Halifax were not going home disappointed or wishing for more today. Cuskelly gained a new nickname - "The Archer" for his arrow-straight shots, which often got him out of trouble and put Gawad under pressure. The Australian ended the game 16-14 after 25 minutes with a kill shot the Egyptian couldn't reach. To start the second game, The Archer maintained his momentum from the previous game, working the Egyptian around the court, making him work significantly harder in the first half of the game. The second half of the game was very tight, but Cuskelly never surrendered the lead he built. 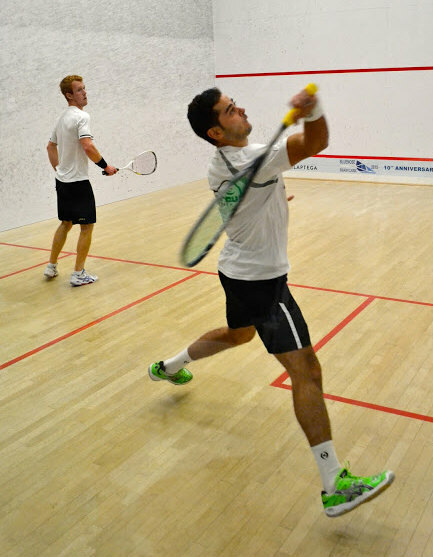 The game ended with an amazing flurry of shots, with both players successfully diving for shots, trading lightning-fast volleys, until Gawad hit the tin, giving the victory to Cuskelly 11-8. This was another lengthy game at 22 minutes. Each of the first four points of the third game was decided by the referees, two 'strokes' and two 'no lets', all against the Egyptian, to give The Archer a 4-0 lead. Lead referee Graham Waters instructed Gawad "you need to make more effort to clear". This seemed to be a pattern that persisted through the game. Cuskelly shot out to a 9-2 lead, before Gawad was able to string a few points together. It wasn’t enough, as Cuskelly scored with a perfect drop to go to match ball, and earned a stroke from the referees to seal the deal. Unfortunately, the referees’ decisions played a prominent role in the third game, as they decided nine of Cuskelly’s eleven points. Cuskelly noted, “In the first it was really high quality and I did a lot of work. I think I was probably pushing the pace too much, a bit too keen to get on there and win, but you are just giving it on Gawad’s racquet, and if you do that, he puts in the winners. So I tried to slow it down and be aggressive when I got the loose balls." 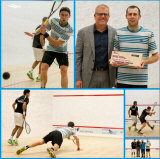 Halifax’s squash fans got their wish today, a match filled with intensity, shot making, precise shots, and drama. 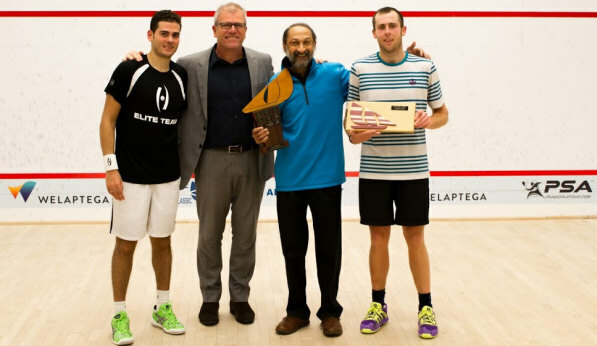 It was no small feat for the Australian to conquer two higher-ranked Egyptian players on his way to the title of 2015 Welaptega Bluenose Squash Classic Champion. 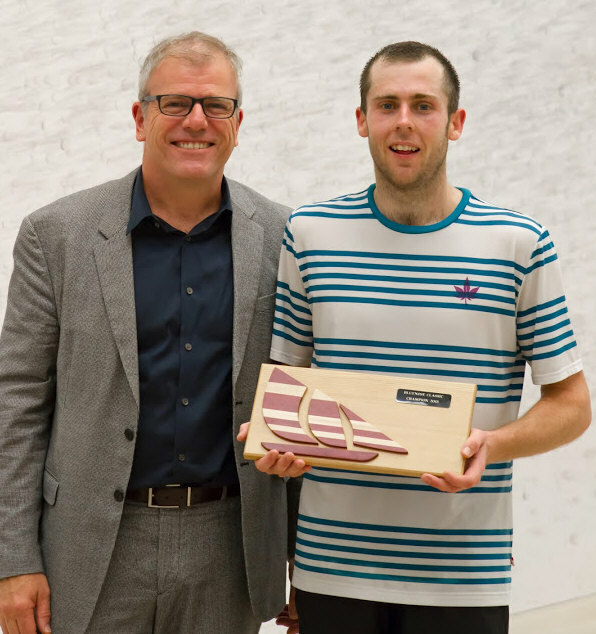 Ryan Cuskelly demonstrated that his squash game is on the rise, and we have yet to see him reach the peak of his career. 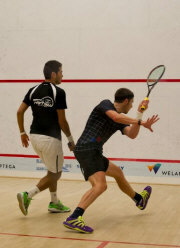 Canada’s Andrew Schnell went down to Egyptian Karim Abdel Gawad. Gawad showed as deft a touch as we have seen in the tournament so far, seemingly finding the nick at will in the third game today. In response to Neil Harvey’s question “what sort of things are you doing to get that quick?” Gawad replied, “I think that is a little bit of a gift”, noting that he spends more time training his “basic game” rather than his speed. Harvey went on to tease, “do you actually have a different muscle than everyone else?” to laughter from the crowd. Ryan Cuskelly of Australia will be Gawad’s opponent in the finals, after a convincing victory over Egyptian Marwan Elshorbagy. Cuskelly demonstrated patience and consistency, throughout the match and Elshorbagy wasn’t able to keep up with the pace today. Each match was just over a half hour today, and as a result, the players are expected to be relatively fresh and energized heading into their final contest of the tourney. 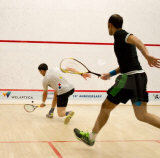 Players are arriving in Halifax this week for the Welaptega Bluenose Squash Classic which gets under way on Tuesday. The tournament is celebrating its tenth year. Headlining a contingent of 28 players will be Egyptian players Karim Abdel Gawad ranked 11th in the world and Marwan Elshorbagy ranked 12th. Other top players are Alister Walker from Botswana, Australian Ryan Cuskelly, and Dutchman Laurens Jan Anjema, who is a long-time favourite of Nova Scotia squash fans. Canadians Shawn Delierre and Andrew Schnell are also entered in the tournament’s main draw. New Zealander Martin Knight will also play the tournament this year. He is the only player to have taken part in all ten Bluenose tournaments. The tournament also features a slate of local players including Nova Scotians Matt Bishop and Josh Rudolph and PEI players Mike Buchanan and Connor Jinks. 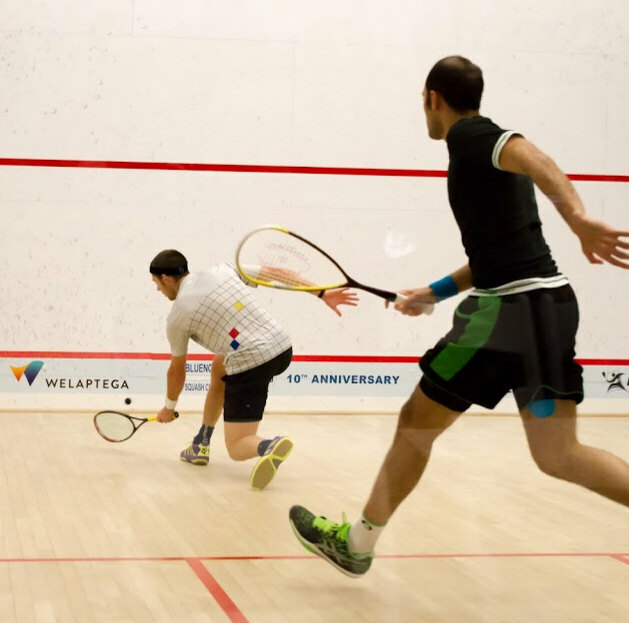 The Welaptega Bluenose Squash Classic is celebrating its tenth year with a line-up of players that includes top players in the world. 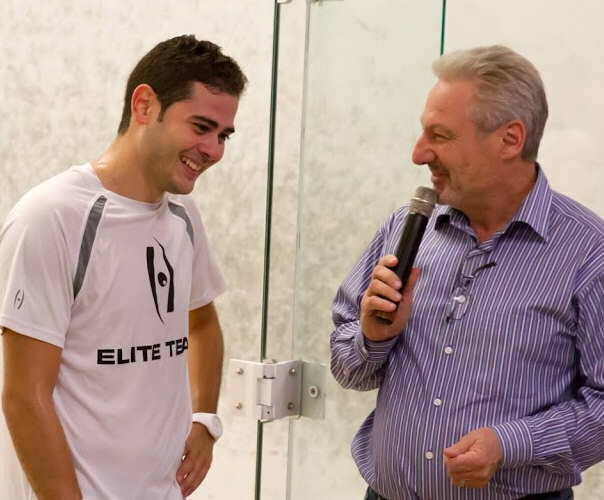 The PSA $35k tournament, slated for Saint Mary’s University Homburg Centre, will take place October 20-25. 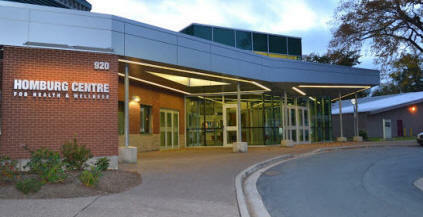 “We are very excited to celebrate our tenth year in Nova Scotia,” said tournament promoter Neil Harvey. "This is my first year as the promoter of the event although I have always been involved as the MC . I am starting with the 10th anniversary and its is very exciting . "In addition to our long term sponsors I have new sponsors in place which I'm hoping will lead to not only securing the event for years to come but maybe in the not too distant future will allow us to bid for a world championship here in Halifax. " Tickets will be available through the ticket office of the Homburg Center and will be available for purchase in person, at the Service Desk, or over the phone by calling 902-420-5555 with a credit card.